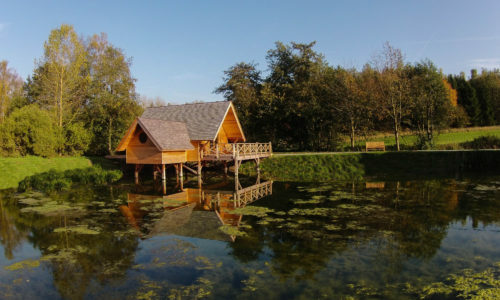 Your charming trip begins when you take the small footbridge over the lake to reach your chalet. 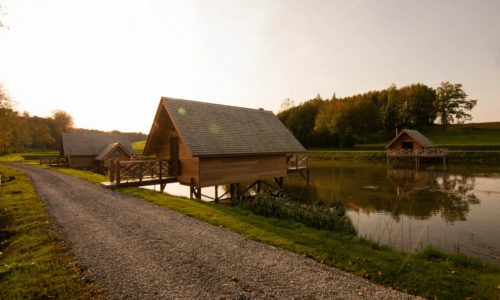 Each chalet has its own footbridge. 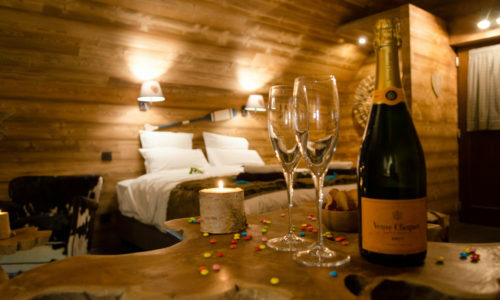 And each one bears the name of a secret and sophisticated hideaway. 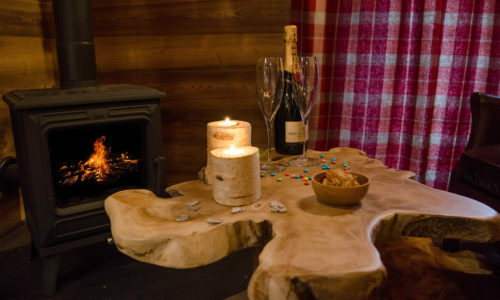 That’s all you need to do, and now you have entered. 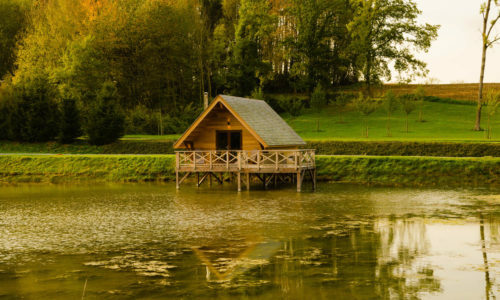 You are all alone, with your partner, the murmuring of the lake, and the feeling that you are protected, at one with nature, and far from the hustle of the world. 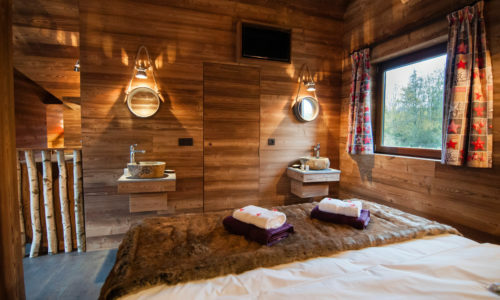 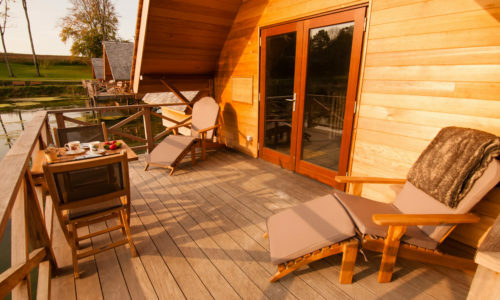 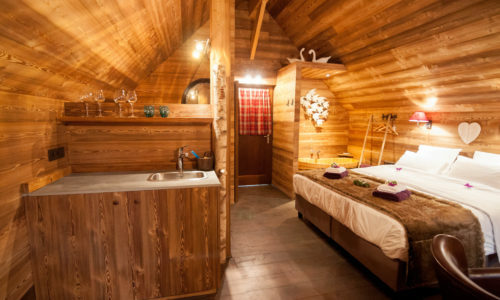 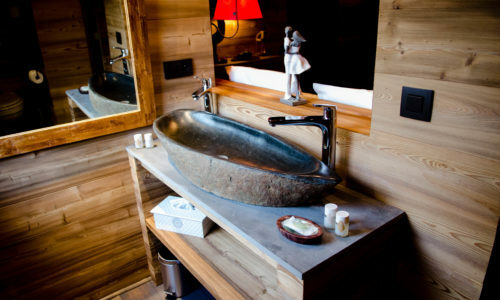 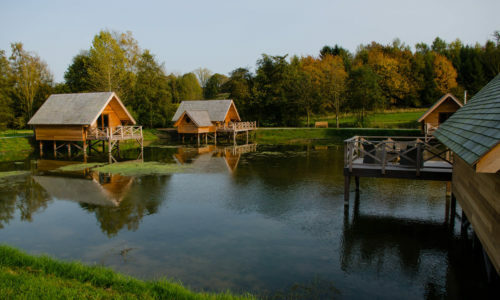 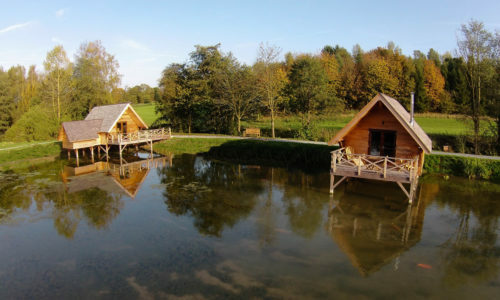 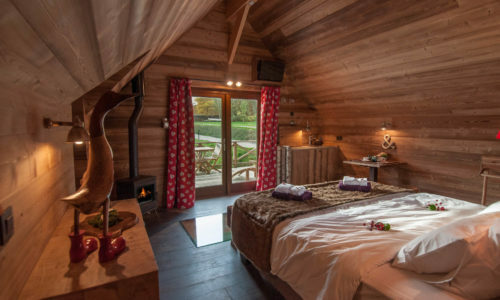 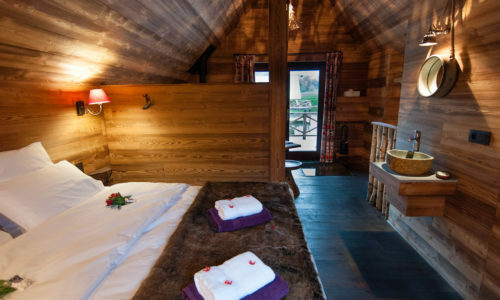 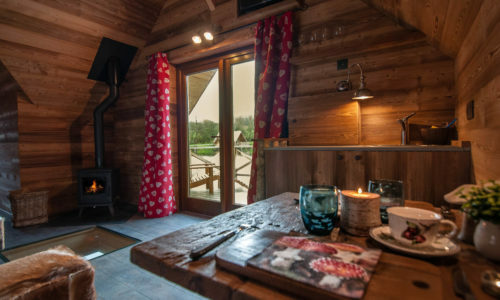 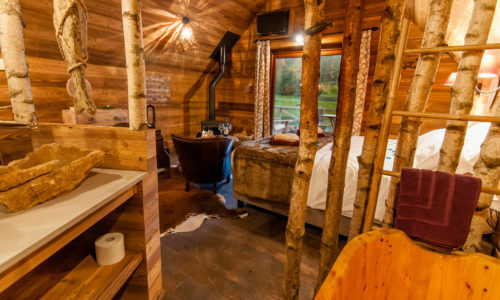 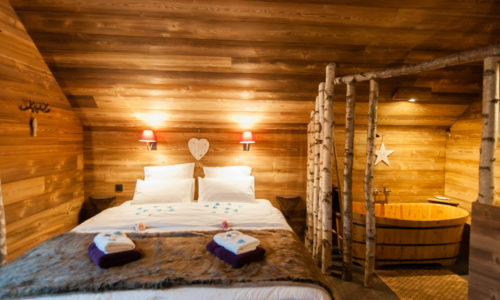 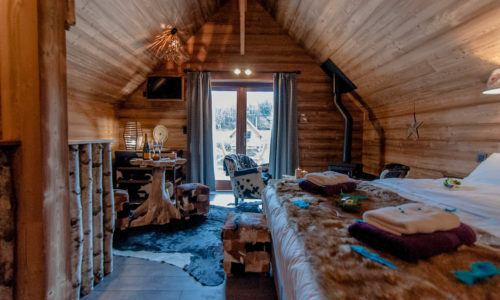 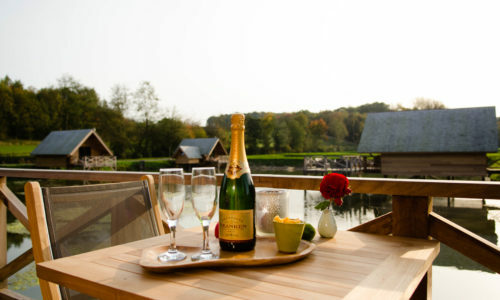 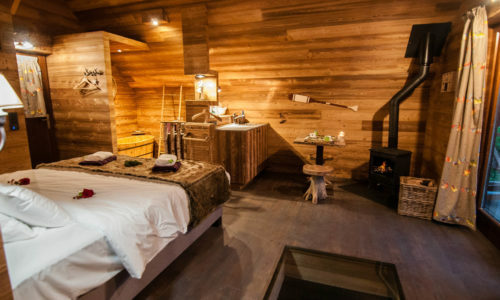 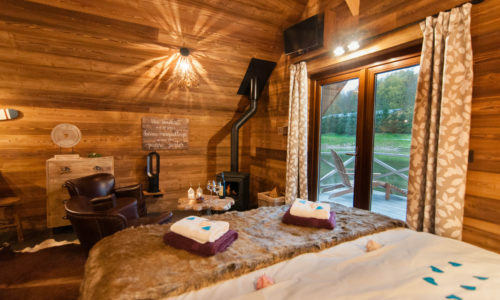 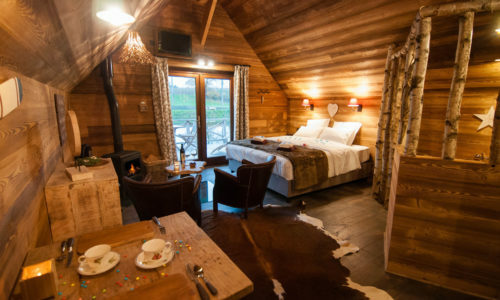 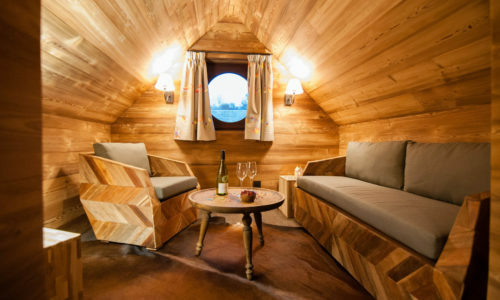 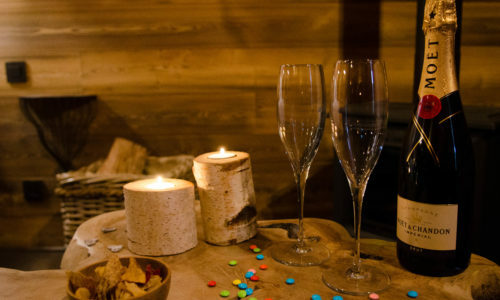 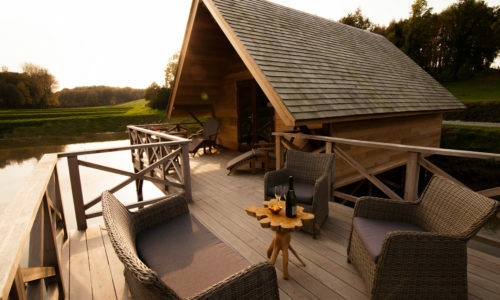 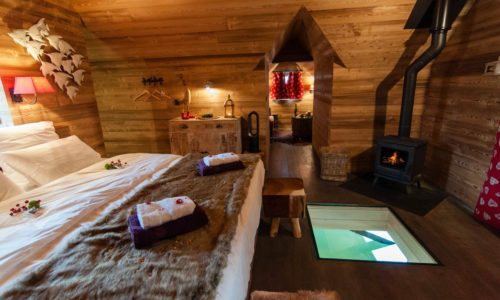 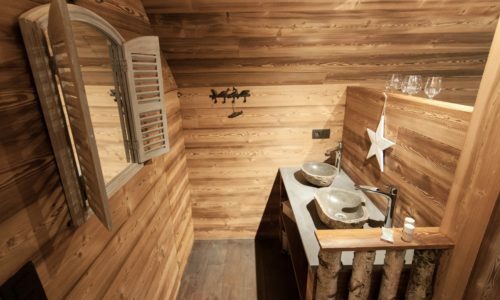 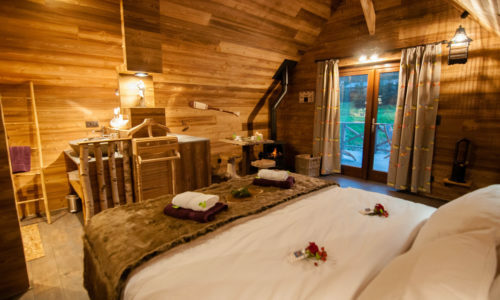 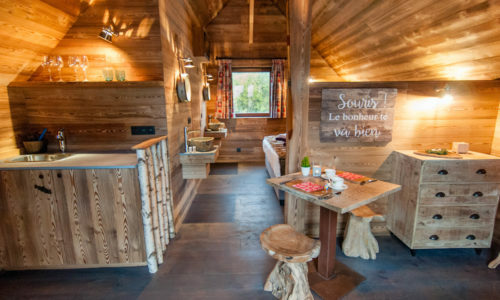 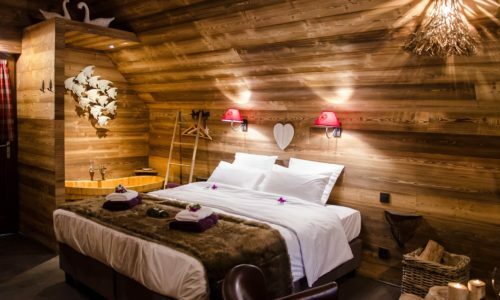 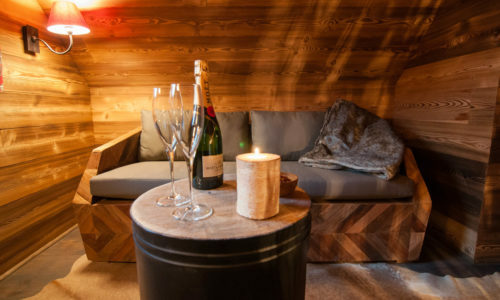 The chalets are designed to accommodate up to two people at most. 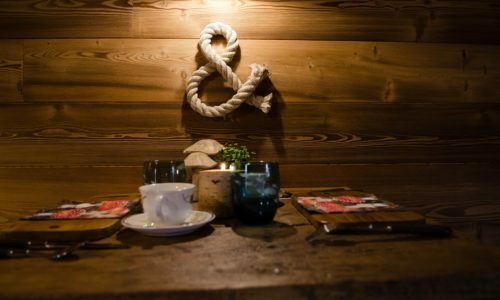 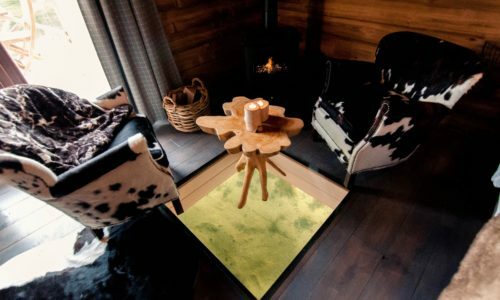 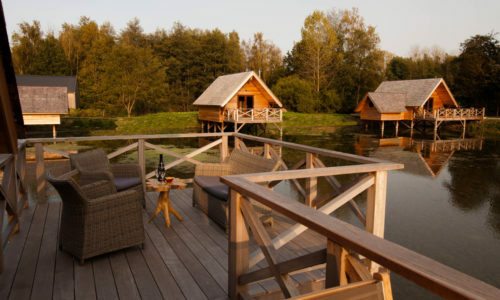 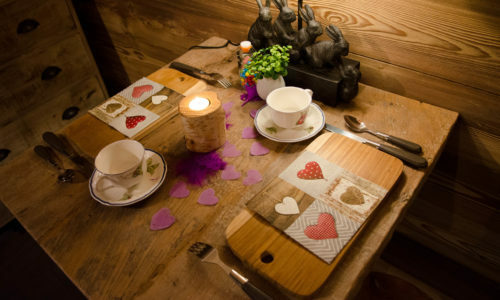 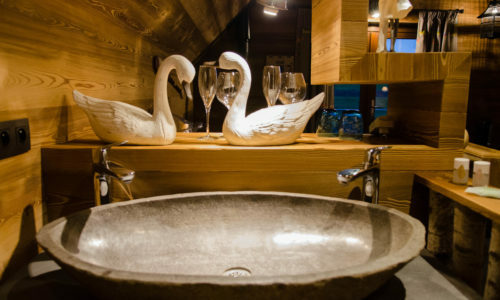 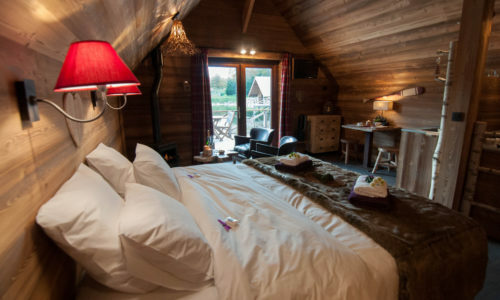 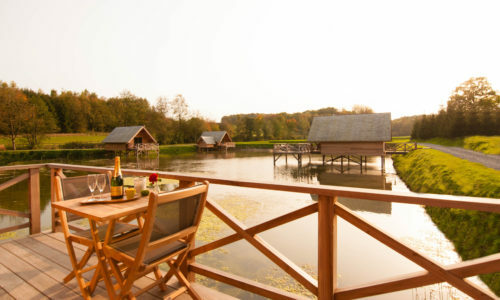 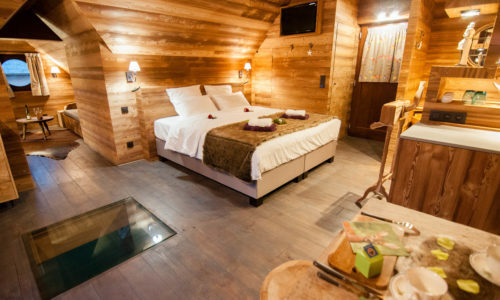 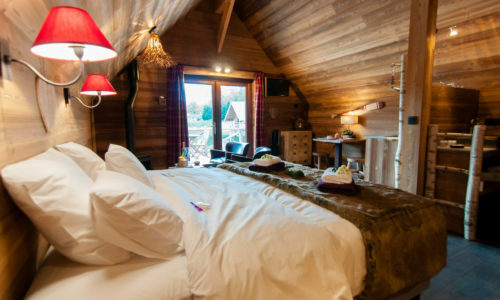 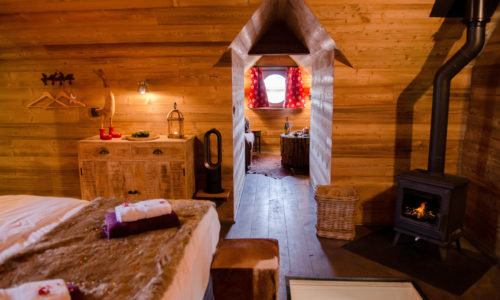 Your cosy companions are a large bed (180×200), a wood-burning stove, a terrace on the lake with a breathtaking view. 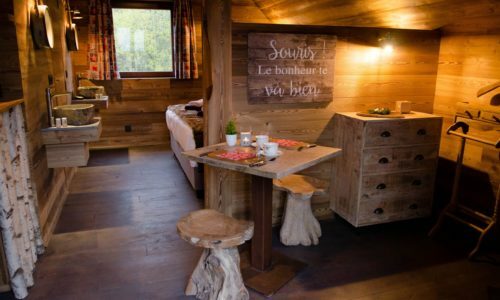 ALL you need for a comfortable stay is provided: electric heating, normal toilet, wifi and television. 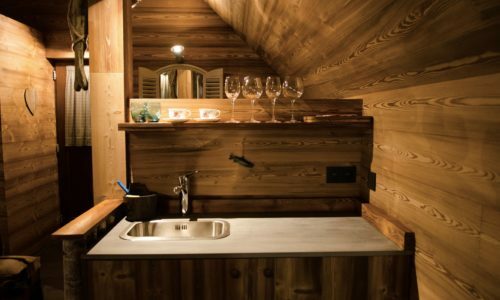 This space for two people also features a small lounge and dining area. 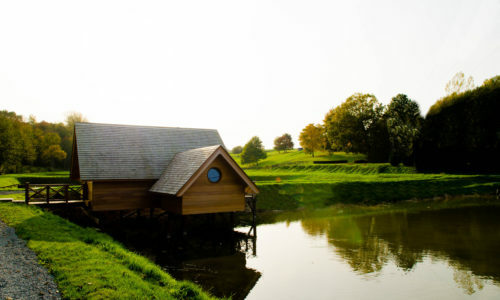 Did you spot the hatch by the entrance door? 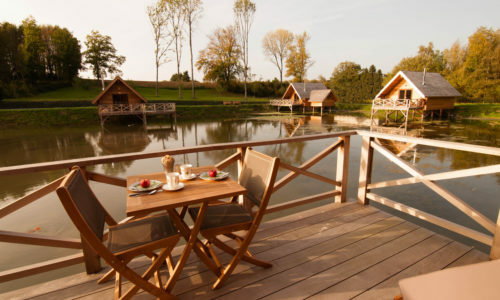 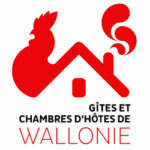 That’s where your breakfast « Prince de l’Etangs » (included in the rental price) will be dropped off, at a time of your choosing. 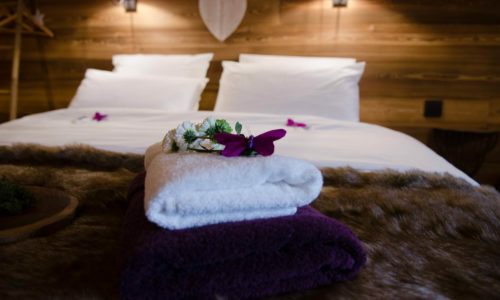 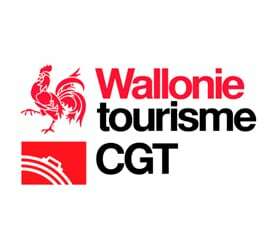 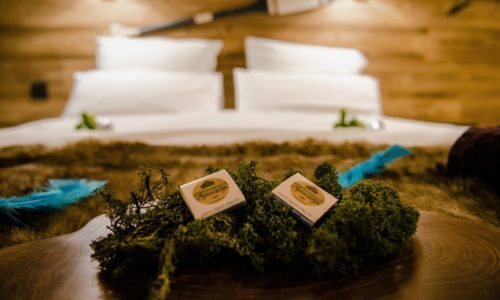 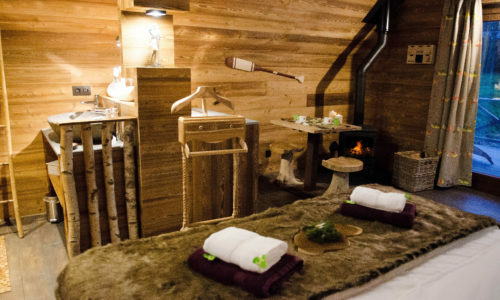 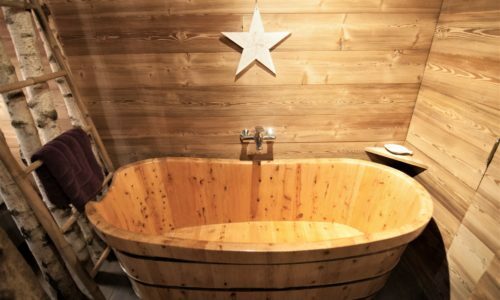 Before you arrival, you can order massages, a breakfast « Reine Libellule », a tray of local produce, including many small cold dishes, as well as drinks of your choice. 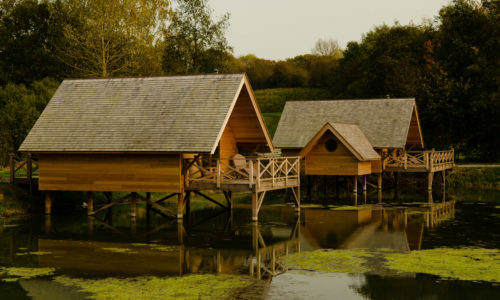 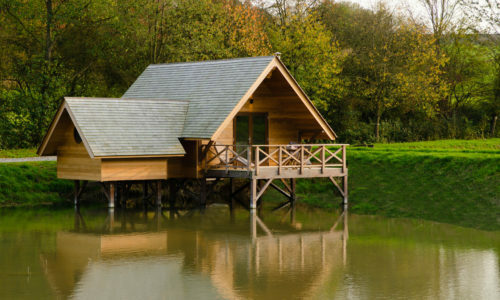 You certainly can choose to stay indoors and make the most of the leisurely rhythm of the day, and to daydream, talk of nothing in particular, chat, … and above all, make the most of these magical lakeside spots.